The Digital Large Display Anyload 808HA Plus remote display features ultra-bright LED display and non-glare filtered lens for use in a wide variety of applications. The 808HA Plus is available with a 7-segment, 6-digit display, comes with 4 annunciators G (Gross), N (Net), kg, lb. 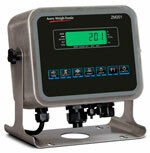 It is designed to work with most digital weighing indicators by using RS-232 communications. The 808HA Plus can be easily installed by being mounted to a wall or pole, or suspended with a pair of hooks. Here you will find the best load cell, all models all brands, are highly efficient and long-lasting products because we reserve the best materials just for you. All our Digital Large Display Anyload 808HA are guaranteed. 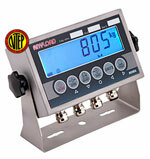 Digital Large Display Anyload 808HA are one of the best on the market this days. What are you waiting for ?